With Readly you can read History of War Battle of the Somme and thousands of other magazines on your tablet and smartphone. Get access to all with just one subscription. New releases and back issues – all included. 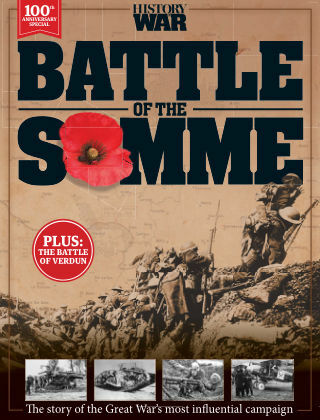 The Battle of the Somme was one of history’s bloodiest campaigns. Follow the course of events by examining authentic artefacts – including battle maps, telegrams and even pigeon-carried directives – as well as first-hand accounts by way of personal letters, drawings and diary entries. One hundred years on, remember the bloodshed on the banks of the River Somme in 1916.